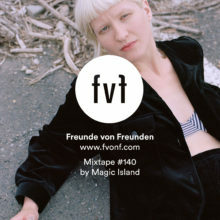 (EN) A who’s-who of more than 200 artists – including Florence and the Machine, Aloe Blacc and Incubus – have taken part since the concept was born in 2010, and this time, supergroup No Devotion and Germany’s own Cosby took their turn. The idea was the brainchild of Conrad Fritzsch, CEO and founder of tape.tv – a free to use, social music television platform, where users curate their own schedule and discover content from one of the most complete music video catalogues in the world. Conrad wanted to create something special for the Berlin music scene, and the rooftop gigs do just that. It gives onlookers an escape from the everyday urban jungle and encourages them to look up at the beautiful sound in the sky. It’s all about embracing a change of perspective. Auf Den Daechern: COSBY auf tape.tv. (EN) To kick things off, energetic electro-pop four-piece Cosby took to the stage. Marie Kobylka (vocals/piano), Christoph Werner (synth/guitar), Robin Karow (drums) and Kilian Reischl (bass) have been friends for the last five years and recently released their debut album, “As Fast As We Can.” An exciting hybrid of musicians, they don’t shy away from big-scale pop statements, yet there’s an indie spirit at their core. They took control of the crowd from the very start of their five-song set, and the temperament of their music was perfectly matched to the colors and warmth of the autumn sun. (EN) Following Cosby into the azure as the sun began to set was No Devotion, who upped the volume to end the night in raucous fashion. 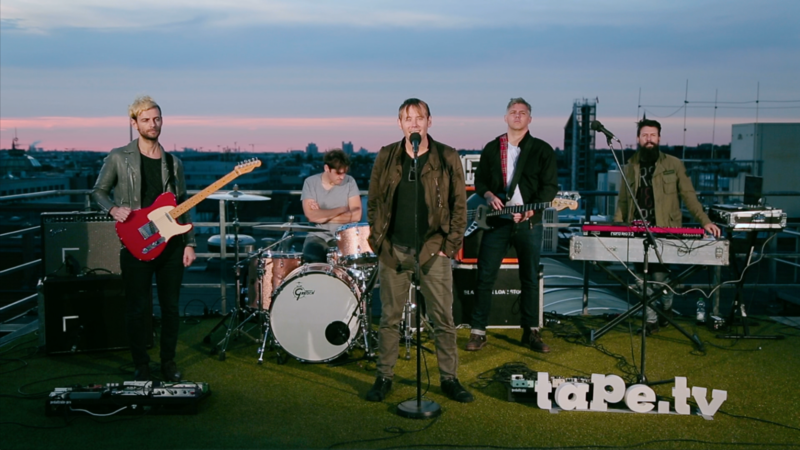 The band features a host of well-known rock names – former Thursday frontman Geoff Rickly on vocals and former Lostprophets members Stuart Richardson (bass), Jamie Oliver (piano/keys/synth), Mike Lewis (rhythm guitar) and Lee Gaze (lead guitar). Accompanying them on tour is drummer Philip Jenkins, formerly of Kids In Glass Houses, while Matt Tong of Bloc Party fame helped with the recording of the album. No Devotion first hit the scene in 2014 when BBC Radio 1 debuted their single “Stay,” a track Rock Show host Daniel P. Carter liked so much that he played it twice in a row. Auf Den Daechern: No Devotion auf tape.tv. (EN) Emerging as an arena for breakthrough artists, tape.tv’s “Auf den Dächern” is a portal for music lovers who want to stay on top of what’s new in music. If you can’t catch the concerts live, tape.tv makes them available on their website, or by downloading their app tape express.